Hygro-Thermo pen-shaped pocket hygrometer and thermometer. This ETI hygrometer thermometer is pen-shaped and incorporates a large, clear LCD that simultaneously displays both humidity and temperature over the range of 20 to 95% RH and 0 to 49.9°C. This pocket hygrometer is ideal for monitoring the humidity and temperature in a wide range of applications. Unlike many hygrometers that are large and heavy to carry around, this compact hygrometer and thermometer is truly pocket-sized and convenient to use. 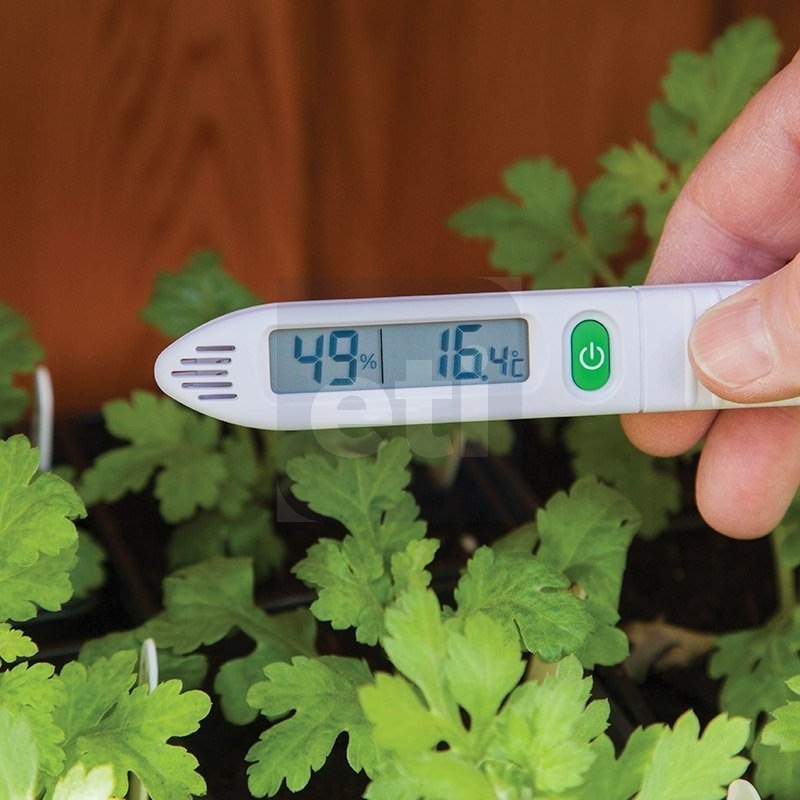 The hygro-Thermo incorporates a max/min button which allows the user to display the maximum and minimum humidity and temperature simultaneously. The unit is housed in a slim, pen-shaped ABS case measuring 20 x 23 x 130mm and incorporates a pocket clip.